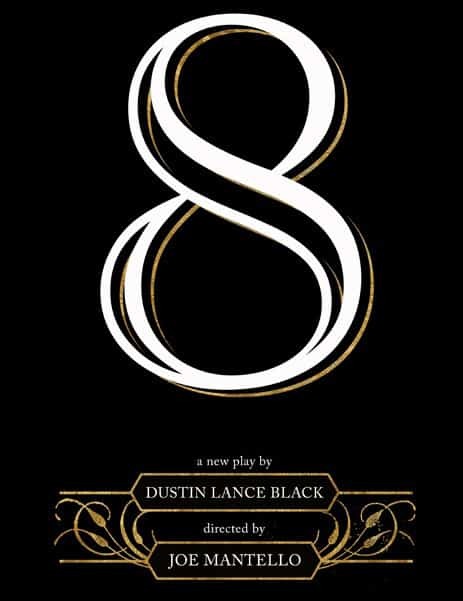 Final casting was announced yesterday for the staged reading benefit of Dustin Lance Black's 8, his play about the federal case challenging California's Proposition 8. Emmy and Tony Award winner and two-time Golden Globe Award nominee Ellen Barkin; Tony Award nominee Jayne Houdyshell; Broadway star Kate Shindle; and two-time Tony Award winner Stephen Spinella will appear in the world premiere of “8” on Broadway, joining the previously announced Bob Balaban, Matt Bomer, Campbell Brown, Anthony Edwards, Morgan Freeman, Cheyenne Jackson, Larry Kramer, Christine Lahti, John Lithgow, Rory O’Malley, Rob Reiner, Yeardley Smith and Bradley Whitford. The cast of “8” will also feature Tony Award nominee K. Todd Freeman, Jay Armstrong Johnson, Ken Leung and Ben Rosenfield. Marisa Tomei has had to withdraw from the reading due to a film scheduling conflict. …the challenge is to avoid caricature. 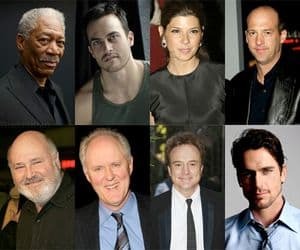 Bradley Whitford, who will play the courtly Charles Cooper, lead attorney for the defenders of Prop. 8, told the AP that "my goal in a situation like this is to be as clear, as articulate, as well intentioned and with as little mustache-twirling as possible." In fact, one thing that will come across, Black told me, is "the civility that we saw inside the courtroom and the lack of accountability of the debate that goes on outside the courtroom." The play is set during closing arguments in the case, flashing back to key moments from the trial but also framed through the plaintiffs' families, "and it asks the question, 'Why do we even have to be here?' Why are they saying that we are perhaps not worthy of the same kinds of protections and recognition as a heterosexual family?'" Black said. Nevertheless, he "worked very hard, and it did take hard work, to go through the proponents of Prop. 8's arguments and find the places that I thought they would consider wins, where I think they were making their points strongest," Black said. "And I got to say, a hundred percent of those moments are in the play. And if I did that for our side, the play would be weeks long. And I wanted this to come off in a fair manner." Ticket information is available HERE.